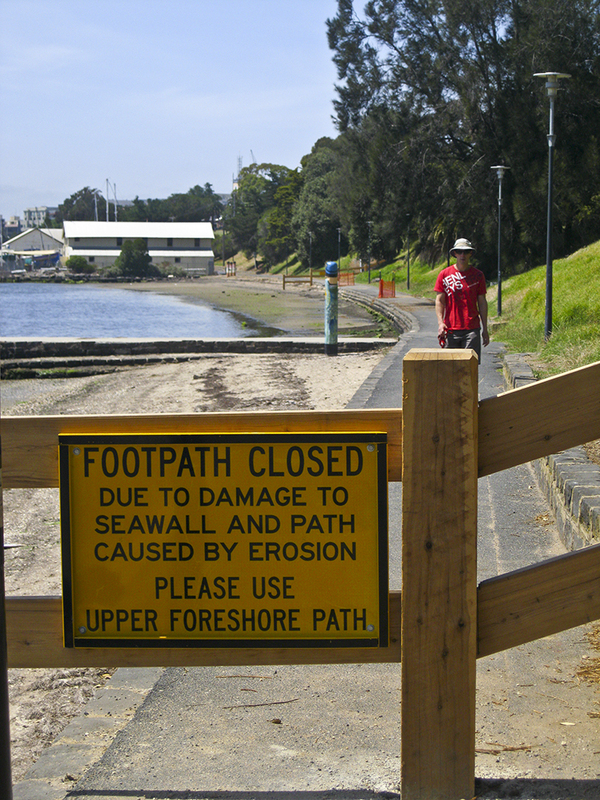 The lower Waterfront (Bob McGovern) shared path is still closed – more than three months after erosion was first identified. Still closed after winter storms! It takes combined action to get results. Contact your ward councillor, the mayor, Darryn Lyons, or the city council directly to ask for the path to be repaired and reopened. To publicise the issue, write a letter to the editor at the Geelong Advertiser or comment online. The path closure is an inconvenience to all path users and an embarrassment for our city. Visitors walking the bollard walk between Cunningham Pier and Rippleside Park are confronted with this evidence of a city that would rather post a sign that fix a problem.